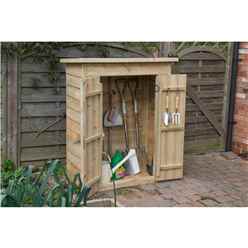 The pent garden store is the ideal compact unit to store your garden essentials, muddy boots and tools. 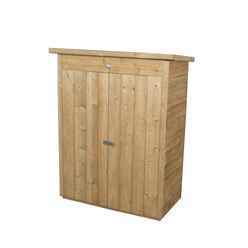 It is constructed from pressure treated overlapping timber panels with shiplap tongue and groove front panels holding double doors; mounted onto pressure treated bearers to prevent water damage. 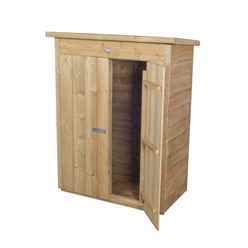 The doors hinged are hidden for security and they are secured by a plate hasp and staple fastening.